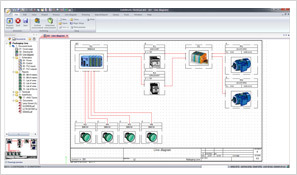 SOLIDWORKS Electrical greatly simplifies 2D electrical schematic creation by providing an intuitive interface that gives you faster results.Bi-directional integration in real time with SOLIDWORKS 3D CAD provides better collaboration and productivity, resulting in fewer product delays, more consistent and standardized designs, lower costs, and faster time-to-market. 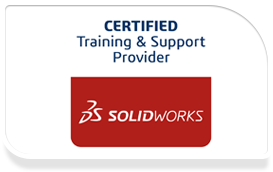 Purchase SOLIDWORKS Electrical software from FEA, an authorized reseller in Ontario. Integrating Electrical And Control Systems Into Our Mining Equipment Is A Challenge. Solidworks Electrical Products Target Our Type Of Design Tasks. SOLIDWORKS Electrical single-line and multi-line schematics integrate with SOLIDWORKS 3D models to enable true concurrent electromechanical design. All the exclusive benefits of SOLIDWORKS Electrical 3D can be purchased at an affordable SOLIDWORKS Electrical 3D Price. Request your SOLIDWORKS Electrical 3D Price today by calling us at 905-990-0094 or via our request a SOLIDWORKS Electrical 3D price quote form!